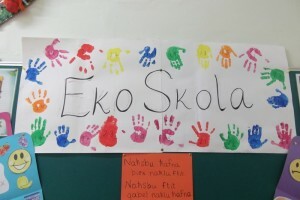 The representatives created a chart by making use of their hand prints. 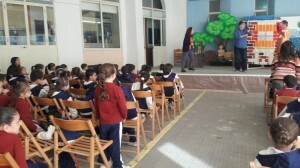 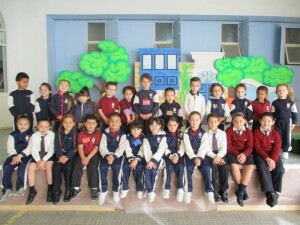 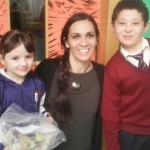 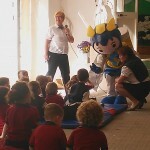 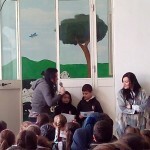 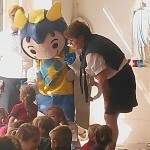 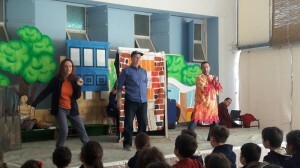 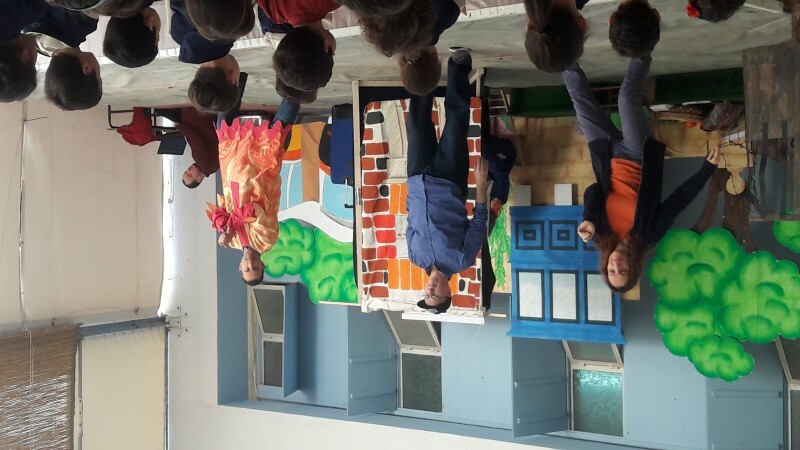 On the 11th of April the Drama Unit came to our school to perform a play for year 1 & year 2 pupils called ‘Hans u Greta’. 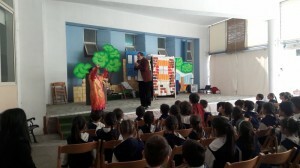 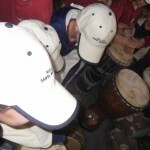 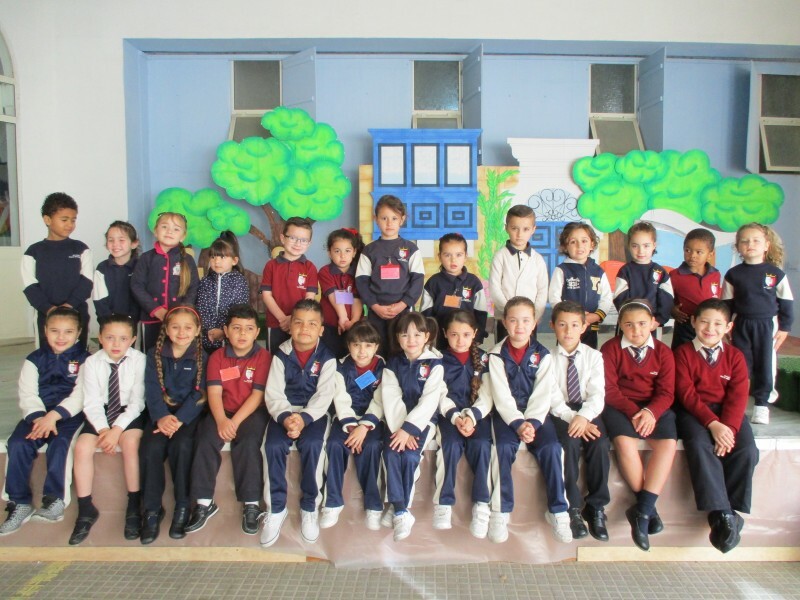 The aim behind this play was to encourage healthy habits, like healthy eating and daily exercise. 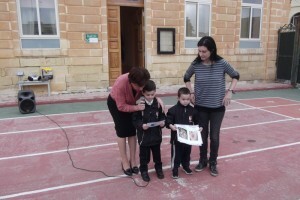 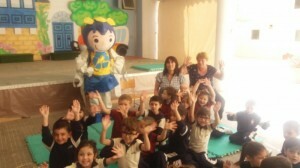 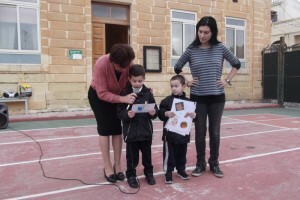 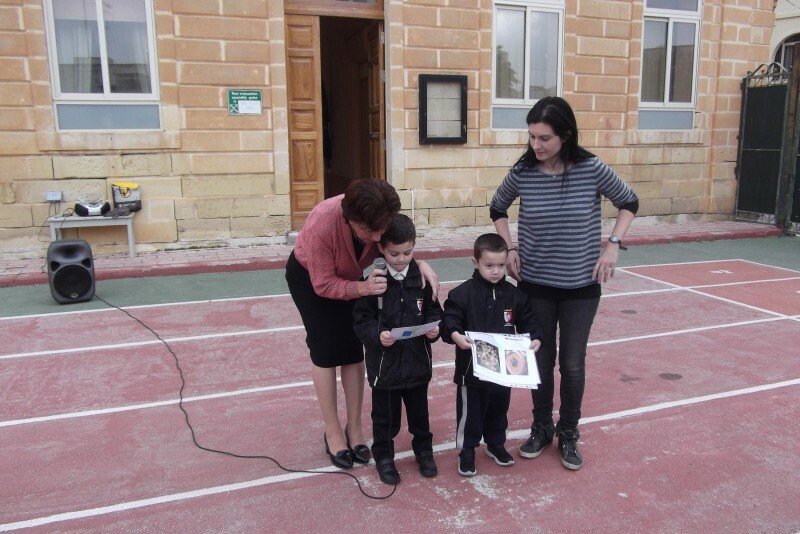 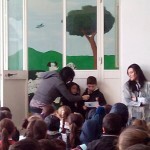 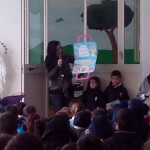 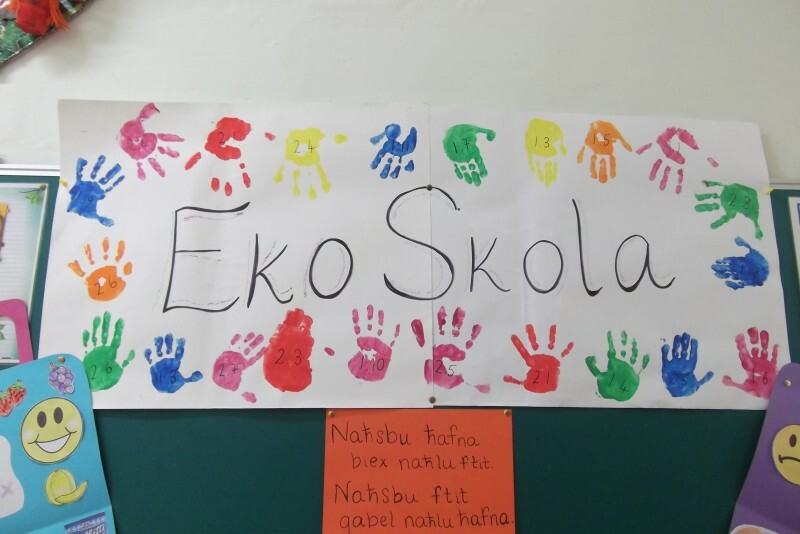 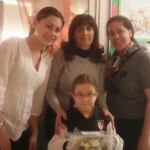 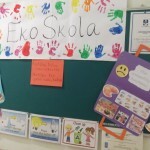 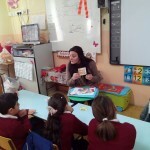 Members of the EKO SKOLA committee talked about what types of food are good for their health. 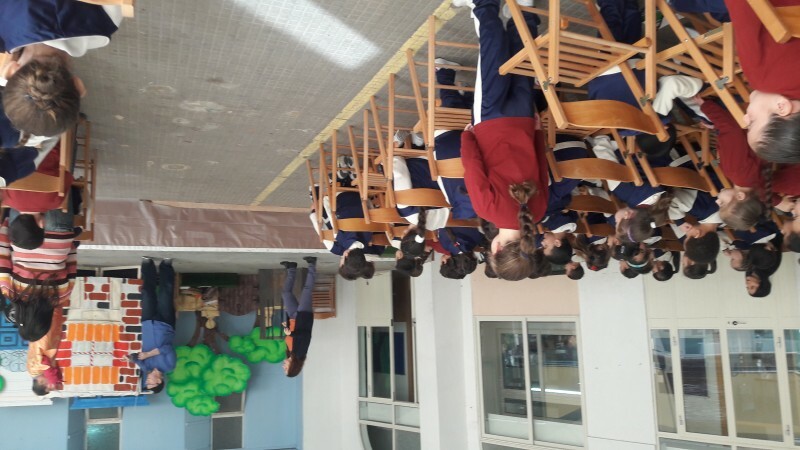 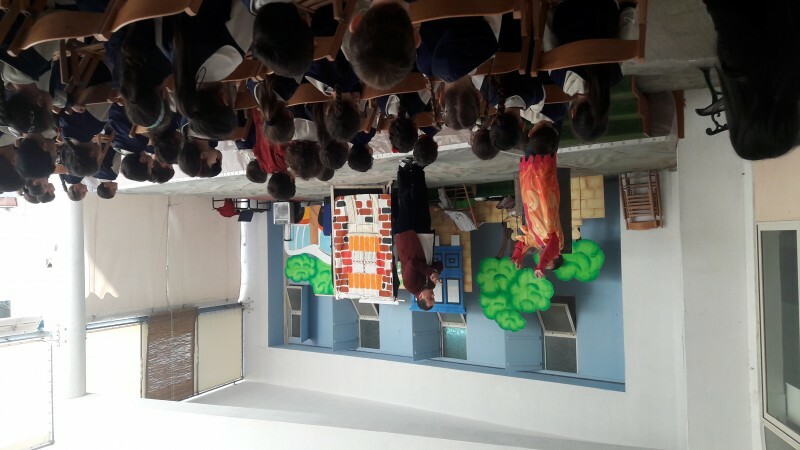 Then, during the morning assembly members of the EKO SKOLA committee explained and demonstrated to their peers what kind of foods make up a healthy diet. 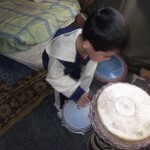 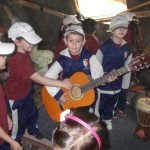 During Music Lessons prepared by Ms J. 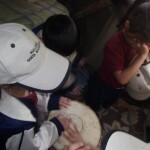 Pace (Music Teacher) Year 2 pupils sang the song Gimme 5. 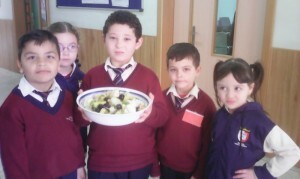 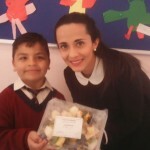 This song, helped the pupils understand that fruit and vegetables are important for our health. 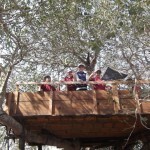 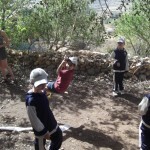 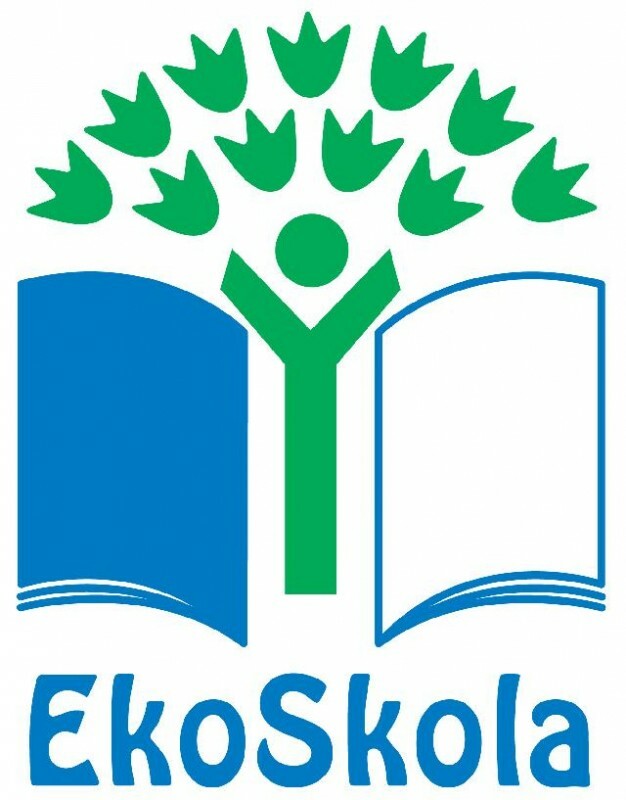 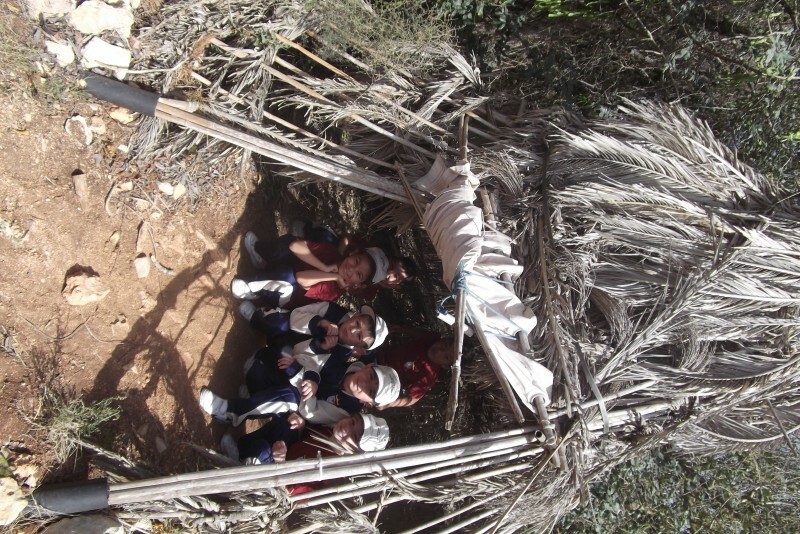 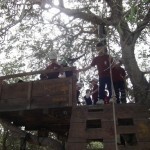 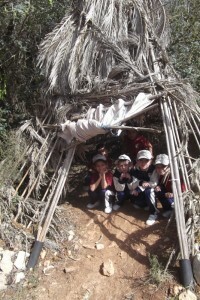 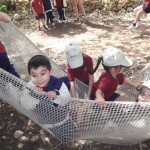 During this outing, year 1 pupils where given the opportunity to experience an eco friendly way of life in the natural environment. 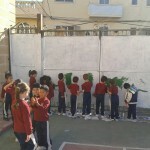 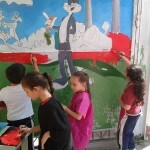 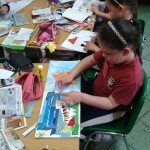 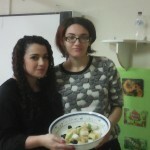 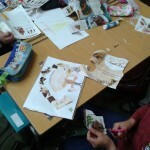 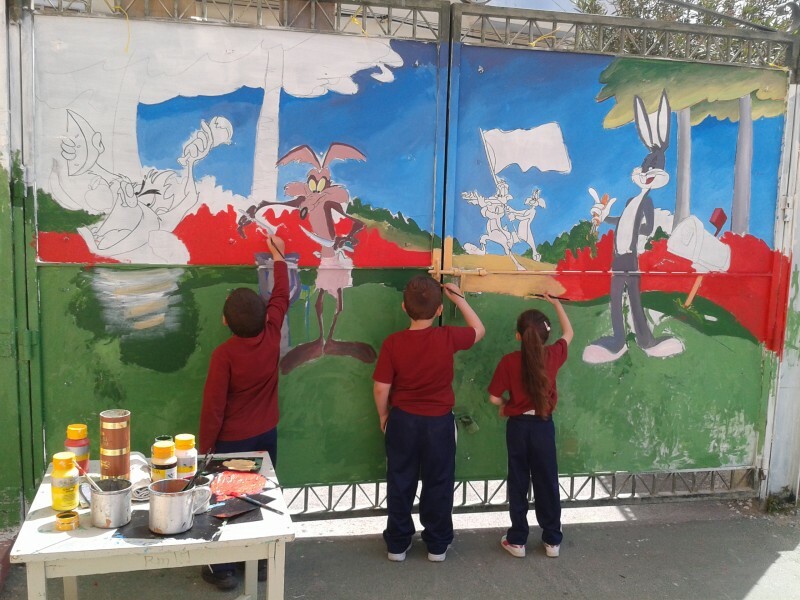 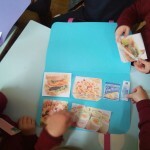 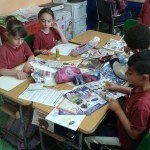 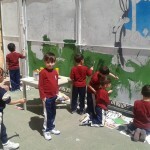 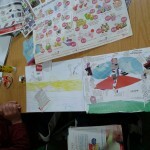 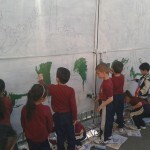 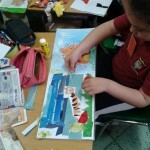 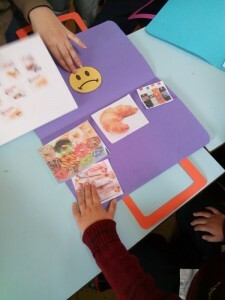 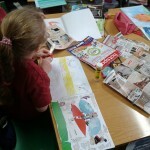 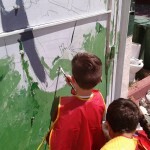 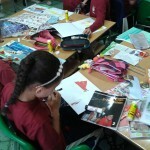 They learnt about health and nutrition and they were also taught that Artistic expression can be freely accessible to all by making use of everyday materials. 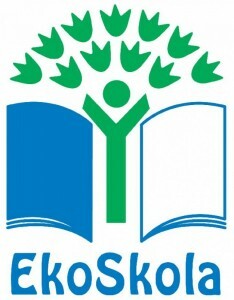 Why Not? 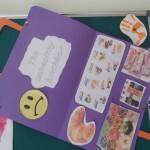 Make Change Happen! 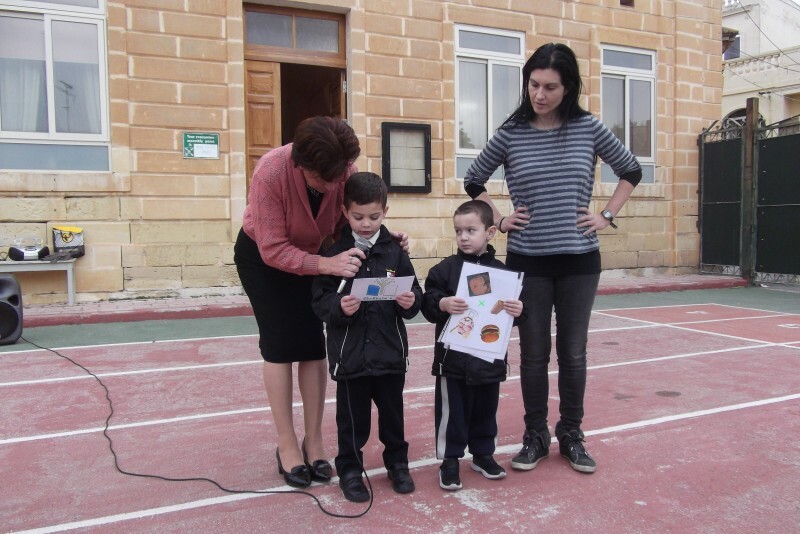 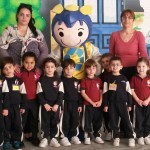 Batterina tries to make our island a safer and a better place to live in. 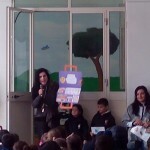 Batterina teaches us that batteries contaminate our environment so it is our duty to dispose of them properly!